Am I a Good Candidate for Stem-Cell Therapy? - Piedmont Physical Medicine & Rehabilitation, P.A. Am I a Good Candidate for Stem-Cell Therapy? Stem-cell therapy is a hot topic. In today’s practice of musculoskeletal pain management, more and more people are asking themselves whether or not they are viable a candidate. Stem cell therapy is a medical procedure in which stem cells are used to prevent and/or treat some kind form of disease or injury, such as osteoarthritis or a torn ligament. When you lead a particularly active lifestyle, it’s good to have the foresight that, at some point, you may hurt yourself. And some athletes have already come to terms with this possibility, knowing that they will injure themselves. So if you’re one of these individuals – setting yourself up for a potentially bad outcome – then stem cell therapy may be a treatment to consider. The healing and regenerative potential of stem cell therapy may allow an athlete or active individual to avoid potentially life-long damage and to continue their activities much longer then they would have been able to do otherwise. 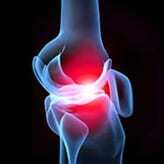 People with osteoarthritis are also good candidates for stem cell therapy. Osteoarthritis describes the deterioration of cartilage that protects and cushions the ends of the joints. 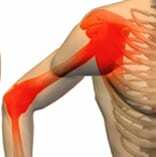 Cartilage helps with joint movement and prevents friction and painful joint mobility. With stem cell therapy, we can restore the cartilage that has been damaged due to osteoarthritis. Stem cells also act as natural anti-inflammatories and can help with overall pain reduction and swelling in the area. For those who have been recommended to undergo surgery for their painful knee, shoulder, or elbow condition, stem cell therapy provides a viable alternative solution. For instance, in the case of someone with severe osteoarthritis who has been recommended to undergo surgery, stem cell therapy can help to restore joint space narrowing (even in the case of bone on bone) and make it possible for patients to avoid total joint replacement. There are many reasons for a patient to not want to perform surgery, whether it’s the risks involved, the extensive recovery period, or a personal preference, and stem cell therapy can help alleviate these worries. Ideally, candidates are people who are dedicated toward the prevention of their condition and should also be willing to treat anything else that might be affecting their condition. While stem cells often provide miraculous results, the technology is not a “miracle-worker.” Stem cell therapy cannot “cure” a disorder or disease – the patient has to have realistic expectations about the procedure and know that their participation in getting better is imperative in actually getting better. Although stem cell therapy is supported and backed by a tremendous amount of research, study, and evidence, it is still a developing science. Ultimately, your medical procedures are a personal decision – we hope to only enlighten those who may not be aware of stem cell therapy and demonstrate that it can help you on your road to recovery. For any more questions or concerns, or to find out if you’re a good candidate for this procedure, please don’t hesitate us at 1-864-235-1834.